Create a unique garden-inspired quilt with these stunning Blocks from Victoria Findlay Wolfe! Using the clear acrylic template set that comes with the pattern, makes for easy, precise cutting. 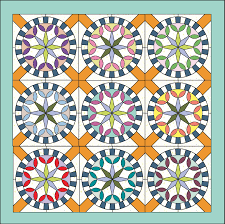 This quilt design provides plenty of opportunities to learn and/or practice your Y-seam and curve piecing skills. The blocks finish at 26" x 26" so one block goes a long way! 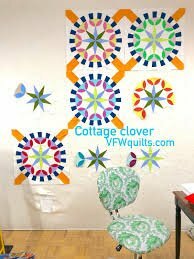 These large, graphic blocks provide plenty of options to play with color as you create your own Cottage Clover Quilt. 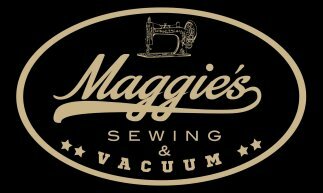 Register for this three-session class and make a big ole' quilt block some new friends!